It’s odd that a film should proclaim what it’s not because otherwise the Robert De Niro comedy ‘Dirty Grandpa’ would have been titled ‘This is not in any way amusing but is a blotch on an otherwise great actors career’. But we digress. 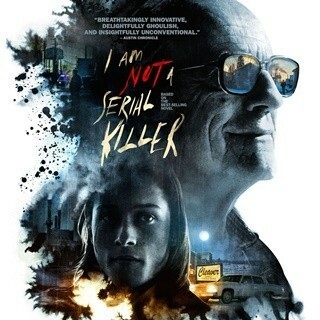 ‘I am not a Serial Killer’ is a bit of a genre blender combining elements of horror as well as a thriller with some blackly comic moments too. 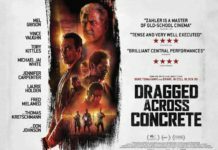 Based on the cult novel by Dan Wells this follows a sociopathic teenager (Max Records – surely a stage name! )who has been diagnosed as such but aware of his potential to kill he knows he really is never going to commit such an act and with his therapist he has a set of rules that he lives by which will keep him out of trouble and the local residents safe. Nevertheless he is still bullied in school by one alpha male and there is an immensely satisfying scene where he lets his sociopath psyche verbally go to town on him. 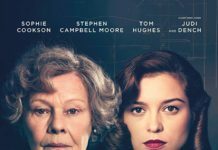 It might be of some help to his mental state that he is surrounded by death as he works in a mortuary with his aunt where the victims of a local serial killer are delivered and it’s from here he starts to carry out his own investigation which is far more successful than the inept local police. During this he befriends another outsider the elderly Christopher Lloyd and his wife and together he uncovers who the serial killer is and it all comes to a suitably grisly climax in the mortuary. Lloyd who is almost 80 years old always used to be a stalwart of the big Christmas released films such as the Back to the Future trilogy, Who framed Roger Rabbit? The Addams Family, in the 1980’s and early 90’s but his innate on screen crankiness adds to the oddly quirky character he plays here. Written and directed by Billy O’Brien whose last film was the horror The Hybrid the film does suffer from a sluggish pace and would have benefitted from losing 20minutes from its 1 hour 44 minute running time but there are some nice touches throughout with some gruesome mortuary sequences shot in a matter of fact way, and grisly flourishes which including the stuffing of a turkey for Thanksgiving and it’s all atmospherically photographed. It’s intentional oddness is akin to something like Donnie Darko but should also appeal to a wider audience if you can stick with its measured pace. ‘Justice League’ fights ‘Mission Impossible 6’ about a moustache……. Star Wars (Europe) celebration – live link……….